Millennium Hall/Lecture Hall, City Hall, Cork. Saturday September 29th 2018. 10:00 – 18:30. For exhibition information please contact richardtcooke@yahoo.com. 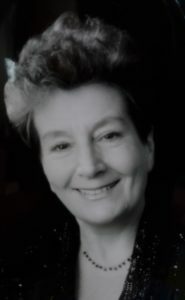 Ronnie O’Shaughnessy will be awarded the Lord Mayor's Community Heritage award in grateful appreciation for her immense contribution to the musical cultural life of Cork. Professor John A Murphy will be awarded the Cork historian of the year 2018 award, in grateful appreciation for his lifetime promotion of the history, heritage and culture of Cork. Born in Macroom, reputedly ‘the town that never reared a fool’ or a rather subtle variant, ‘There was never a fool that came out of Macroom’. All four grandparents came from within a five mile radius of the town so that I could boast of a pure West Cork lineage! The storied river Sullane flowed through Macroom, becoming part of the River Lee some miles to the east. As boys, we frequently walked up over Sleaveen to the scenic pre-flood Gearagh. Irish was still spoken in Cúil Aodha and it could be heard on market days in the streets of the town. Our own speech in school and society was strong Hibernian English in idiom and vocabulary (‘tis how, sic, we do be…’) to the patronising amusement of, say, our Dublin-born secondary school teacher. I was educated in the de La Salle–controlled primary and secondary boys’ schools where, by and large, teaching standards were high. I served local–authority scholarships to university level, being greatly encouraged to do the necessary study by inspiring teachers. My cast of mind was accordingly egalitarian and remained so. Having secured a run of first-class honours results at UCC, I got my first job at the diocesan seminary, St. Finbarrs College, Farranferrris, in 1949. The fine edifice still stands but those who once worked there are long since ‘gone into the world of light’, in Henry Vaugen’s phrase. Looking back now, my period there (1949-1960) was significant in more ways than one. The dominance of the Catholic Church in Ireland seemed imperishable in the 1950s but it turned out to be the best Tridentine decade. Also, I was the only lay teacher in an otherwise clerical staff of twelve or so: was my presence a sop to an important teaching union? At any rate, the priests were ‘goodly comfort; and they gave me a rich insight into the priestly mina. Most important for me, ‘Farna’ was an excellent place to hone my teaching skills and prepare myself for a later third level stage. Unlike the conventional preparation for an academic career, I rose through the ranks, an n.c.o. rather than a commissioned officer, on the whole perhaps not a bad approach. 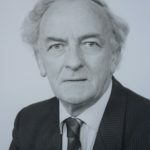 John A. Murphy, native of Macroom, Professor of Irish History, University College Cork, 1971-1990. Visiting Professor at Loyola University, Chicago (1974); James Madison University, Virginia, (1979); Boston College (1984), Colby College, Maine (1987). Independent member of Seanad Éireann (NUI constituency) 1977-’83, 1987 – ’92. Member of UCC Governing Body and of Senate of NUI in 1980s and 1990s. Lectured extensively on Irish history and current affairs at various US, UK, Canadian and Australian universities. Media commentator on the post independence Irish politics and society. Hon. 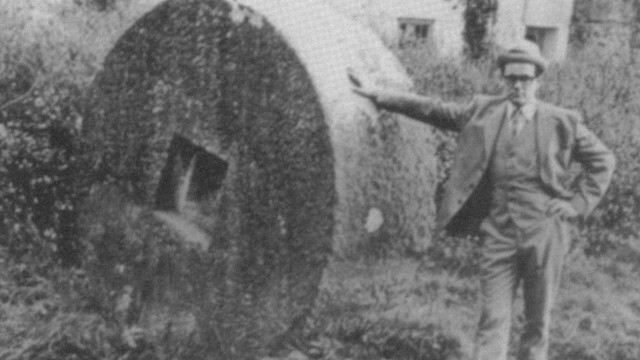 Editor, Journal of Cork Historical and Archaeological Society, 1964-1979. Publications include works on histories of UCC. Awarded D.Litt, honoris causa, by NUI for contributions to scholarship and public life. Awarded title ‘The University Historian’ by Governing Body, UCC. Festschrift: History and the Public Sphere: Essays in honour of John A. Murphy, ed. Tom Dunne and Laurence Geary, (Cork University Press, 2005). Cork Person of the Year, 2005. Sunday Independent Columnist from the 1990s. Interests, pastimes: Singing, walking (especially country roads), Gaelic games enthusiast.